My name is Cindy O’Neil. I am a Guild volunteer in the Library & Archives, specifically working the artist files. 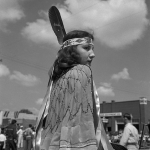 I started working in the library almost two years ago and had no idea that there were over 25,000 Indian artist files and what wonderful stories were contained within them. From time to time I and the other fantastic library volunteers will share some of the stories contained in the library collections. We hope that you will come up to the library and either read more of what is behind the stories being shared or find your own interesting story. So, enjoy these small insights into the treasures that are hidden within the Heard Library. 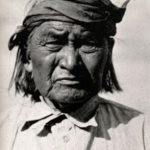 Otis was born at the beginning of the 20th century, in a village on Second Mesa, called Shungopovi. He lived there most of his life as an important, respected man. He was not only a farmer, but an honored poet and composer of ritual songs. 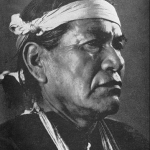 He left the mesas in 1914 to attend the Santa Fe Indian School under the tutorage of Superintendent DeHuff, whose wife was to affect his future life. 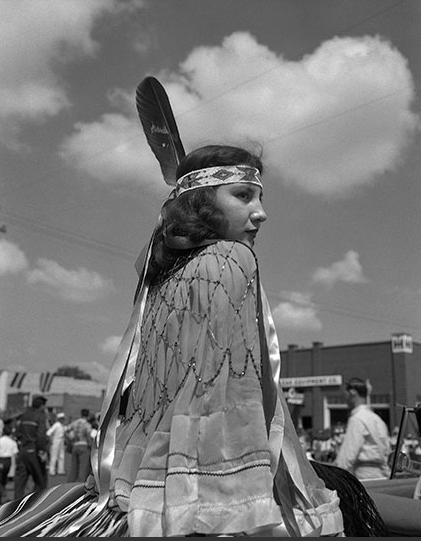 Otis spent the next six years at Santa Fe High School, after which, he returned to his home village. The first written documentation of Lanyade’s position as the first Zuni silversmith appears in the book, “The Navajo and Pueblo Silversmiths” by John Adair, published in 1940. Lanyade was in his nineties when he related to Adair, his version of how he came to be a silversmith. 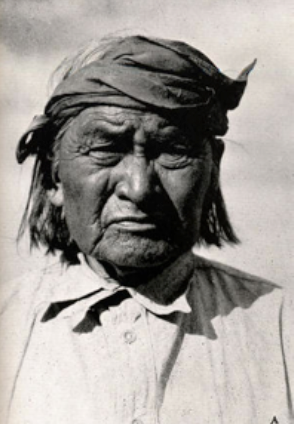 The year was 1872; Lanyade was around thirty years old when a Navajo named Atsidi Chon came to Zuni. 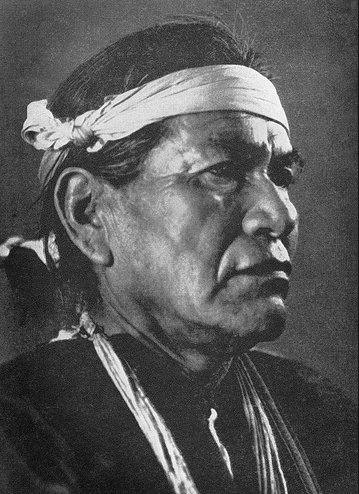 In Lanyade’s rendition of the meeting, Lanyade offered no explanation for why a possible enemy of the village, Atsidi,would come to Zuni. 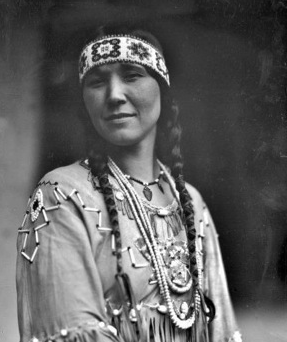 Lanyade spoke Navajo. He hadlearned the language while traveling through Navajo country on his way to the Hopi villages. Atsidi and Lanyade became friends and Atsidi ended up living with him at Zuni. Horace was born in Mountain View, Oklahoma on March 13, 1906, the son of George and Tsomah Poolaw. 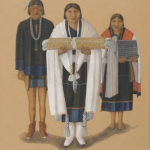 His father was a known historian who maintained a calendar of significant yearly events of the Kiowa life in a pictograph format, painted on buckskins. 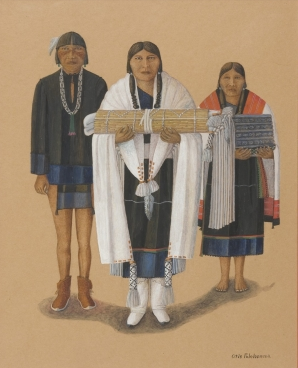 This traditional background caused Horace to seek a means of recording the Southern Plains tribes’ fast changing pace of life. 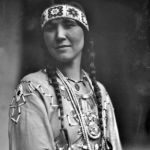 Red Feather was born Florence Tsianina Evans on December 13,1882 in Eufallia (Oklahoma Territory) to Creek and Cherokee parents. All her 9 siblings were musical, but she was the one who stood out.